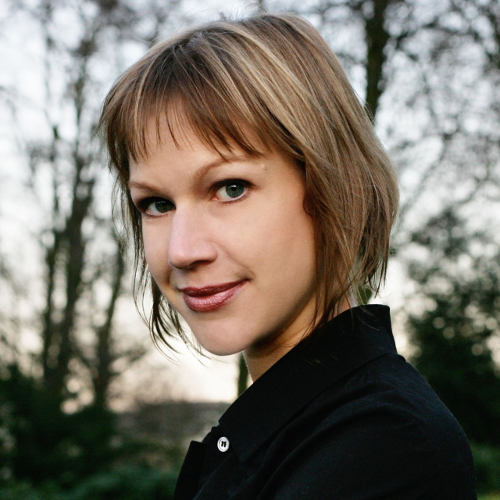 Claire Polders is a Dutch author of four novels with a debut in English on the way. In 2016, Denver Quarterly nominated one of her stories for a Pushcart Prize. Her short prose also appeared in TriQuarterly, Green Mountains Review, Okey-Panky, Folio, SmokeLong Quarterly, Tin House (The Open Bar),Hobart, and elsewhere. You can find her at @clairepolder or here. Claire, thank you so much for offering up three wickedly enchanting stories for our readers this month! Thank you, Jonathan, for encouraging me to write them and giving them a home. “Speaking of Ovid,” “The Killer,” and “The Anxious One” all have a spell-like and timeless quality, not least owing to their many mythical allusions. Other stories I have read of yours ( "The Hunter At The End Of The Day" in Hobart, for instance) deliver us into this myth, or myth-like, realm. Can you speak about the role of myth/fable in your writing, or in short fiction in general? Like so many others, I was fascinated by fairytales as a kid. I grew up reading thick volumes of The Brothers Grimm and Hans Christian Andersen. In high school, I studied Greek and Latin and learned all about the myths. It probably influenced me on many levels, giving me archetypes and classic plots from which to create my own stories. The tradition of fantasy and magical realism is not very strong in Dutch literature—I was mostly fed realistic novels in my teens—but each time I wrote a story of my own, I found myself veering toward the strange. I still do. Perhaps I need something to challenge my rational mind. I’m not the chaotic artist type. I’m quite sensible and practical in everyday life, logical even. But it’s not how I perceive life. Theories can be clear and comprehensible, but life is cloudy and often nonsensical. Perhaps it is easier for me to express myself and show how I see the real world by means of a universe that is different from that world. What I love about your work, Claire, are your sentences (see: spellbinding). You write so lucidly, so clearly—with a precision in sentence structure that allows both the story and the reader of the story to ‘go with the flow’ (for want of a better phrase). Can you tell me about the editing process in your prose writing? Do you prune as you go, or do you spend a good chunk of time in revision after? Thank you. I both prune as I go and revise multiple times. Sometimes I write a story in one flow, but such as story tends to need a lot of editing afterward. When it comes to rewriting, I believe that the reader is often right. When my first reader (or editor) says “What do you mean?” or “I don’t understand this phrase,” then I have failed in my communication and must do better. I can be impressed by a poetic or elaborate style, but what I admire most in other authors is simple and intelligent prose, because I know it’s far from simple to write it. Coetzee is my hero in that realm. I sometimes copy his sentences, change all the verbs and nouns to match my story, and see whether the structure still holds. It’s a good exercise. Speaking of sentences, what’s the best sentence you’ve read recently (or ever)? You write in both English and Dutch. Which language do you prefer for prose, if at all? What can you do in Dutch that you can’t do in English, and vice-versa? At the moment I prefer writing in English because I live in English. It’s the language in which I read, think, dream, and speak to my husband. It’s also a more flexible language, so it’s easier to avoid too many similar sentences back to back. I love writing several versions of one sentence with the same content to see which structure fits the best. Another plus of English is the progressive, a great tool when describing simultaneous actions. In Dutch we don’t really have anything similar. I would have to use a construction with “while” or something like that, which rarely helps the flow. What I miss when writing in English is an ingrained knowledge of connotations. I feel more insecure. In Dutch, I know how a word “sounds” in a certain context, I know its weight, its background, whether it’s old-fashioned, what double meanings it brings to the story. In English, I sometimes lack this depth and will choose the more known verbs and nouns instead of being more adventurous. I hope over time my vocabulary will expand. How did you get into writing? Was there a moment, or a series of moments, or a teacher, or a series of teachers? To be honest, I never got into writing. I was always already there. I wrote before I could properly spell. I wrote letters, diaries, picture books, and stories as Christmas presents. It seemed natural to me to both read and write. In high school, I printed a paper with my friends in which I published a feuilleton. Later, I became shy as a writer and stopped showing others my work. No one discouraged me and no one encouraged me—writing was just something I did for myself, like reading. After my studies (which included zero creative writing classes and zero stories published), my teachers expected me to pursue an academic career. Surprising myself, I wrote a novel instead. I don’t know what I would have done if I had not found a publisher for it, but I’m sure I would not have stopped writing. As a kid and novice writer, I wrote all sorts of embarrassing things: love songs, scripts, television commercials. I once started to write the screenplay for a sequel to a very bad early nineties film called ‘Shocker.’ Needless to say, it was a shocker. Any shockers in your closet? Definitely. Cheesy love poems. Beginnings of teenage-detective stories. Very unsubtle moralistic plays. They can be embarrassing at times, I agree, but I’m glad they exist: if I can see their faults now, I must have grown. Congratulations on your recent TriQuarterly publication! You have been published in some very tasty places—what are some of your dream journals? Thank you! There are so many journals in which I’d love to be included, all the journals I enjoy reading. Online there is Guernica, [PANK], Wigleaf, The Collagist, New World Writing, Adroit, DIAGRAM, Monkey Bicycle, Paper Darts, Brevity—to name a few. And in print, I love The Paris Review (who doesn’t? ), Granta, Tin House, GulfCoast, Kenyon Review, Conjunctions, Mc Sweeney’s, A Public Space, Ambit. You said dream journals right? So, I don’t have to be realistic. What writers have influenced your work? What books would you save from the burning flames of the apocalypse? Multatuli, Max Havelaar. Nadine Gordimer, Burger’s Daughter. Fyodor Dostoyevsky, Notes from the Underground. Thomas Mann, The Magic Mountain. James Salter, Light Years. Herta Müller, Hunger Angel. Orhan Pamuk, The Black Book. Marguerite Duras, Hiroshima Mon Amour. Doris Lessing, The Golden Notebook. Louis-Ferdinand Celine, Journey to the End of the Night. Norman Rush, Mating. Renata Adler, Speedboat. Michel Houellebecq, The Map and the Territory. Zadie Smith, N-W. Jeffrey Eugenides, Middlesex. Joan Didion, The White Album & Democracy. Anne Carson, Autobiography of Red. Rosmarie Waldrop, Reluctant Gravities. Saul Bellow, Herzog. Jennifer Egan, A Visit from the Goon Squad. Javier Marias, A Heart so White. A.S. Byatt, Possession. Haruki Murakami, The Wind-Up Bird Chronicle. Muriel Spark, The Driver’s Seat. A.M. Homes, The End of Alice & Music for Torching. Dubravka Ugresic, The Museum of Unconditional Surrender. Lorrie Moore, Self-Help. Lydia Davis, The Collected Stories. Claudia Rankin, Citizen. And of course everything from J.M. Coetzee, and Franz Kafka, Jorge Luis Borges, Clarice Lispector, Milan Kundera, Italo Calvino, Albert Camus, Oscar Wilde, Wisława Szymborska, Julian Barnes, Charles Simic, Alice Munro, John Berger, Don Delillo, and Margaret Atwood—too many names? Nope! That’s a whopping good list! I was excited to learn that you have a novel written in English forthcoming. Can you tell us a little about it? It’s a story told by two women, worlds and generations apart yet united by willfulness and desire. I once pitched it as: a young Dutch philosopher investigates the incomprehensible death of her grandmother and travels to Indonesia to relive the past. The story involves issues of race, colonialism, and war, and, through a game of possession, even some magic. Is it true that we are our ancestors? As soon as I know when it will be available, I’ll be sure to let you know. Flat but not shallow. Headstrong but open to debate. In The Netherlands, you can wander between the tilted buildings of the past and the forward designs of the future. We also have fabulous cheese. Thank you, Claire, for sharing these stories. I look forward, with great excitement, to your future work! Thanks for indulging me, my stories and my lists!